Is a full service bookkeeping and tax preparation for all businesses, individuals and business with corporations and LLCs. We have On-site or Off-site QuickBooks Bookkeeping set-up and training. 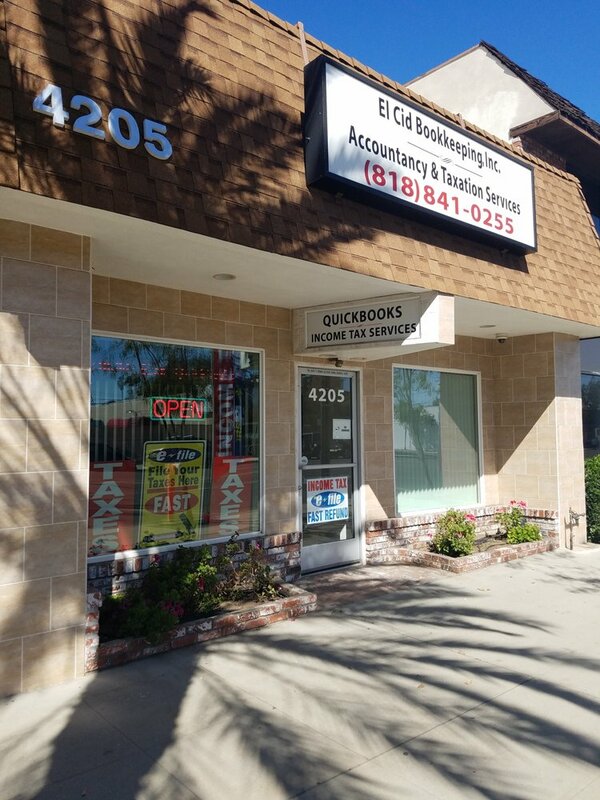 Since 2007, El Cid Bookkeeping Inc. has serviced over 3000+ businesses and sole proprietors throughout the Los Angeles, San Diego, Inland Empire, Orange County, Sacramento and San Fernando Valley areas. We work within a secure hosted environment. We are not only QuickBooks experts but we are also small business owners who understand the stress and demands of running a small business. Our goal is to be able to get you setup so you can run your business properly and always know where you stand financially. El Cid uses the latest technologies including top of the line tax software, Lacerte, and stay up to date with constant training. Our goal is to be able to get you setup so you can run your business properly and always know where you stand financially. Our staff are Certified QuickBooks experts who are committed to providing you with the best QuickBooks Bookkeeping and Income Tax Services possible – including a maximum 24-hour response time.